ARMONK, NY (Reuters) - An interest rate hike will likely be appropriate this year given the U.S. Federal Reserve's decision last week to stand pat was a "close call," a top Fed policymaker said on Saturday. Williams, the first U.S. policymaker to speak publicly since the Fed's much-anticipated decision on Thursday, suggested he is almost ready to pull the trigger on a rate hike. He acknowledged the risks from a slowdown in China and global downward pressure on inflation, noting a rate rise in 2015 is not guaranteed. But he said full U.S. employment should be achieved "in the near future" and inflation, while still too low for comfort, should gradually move back to a 2-percent goal. "Given the progress we've made and continue to make on our goals, I view the next appropriate step as gradually raising interest rates, most likely starting sometime later this year," he said at a weekend conference on the China-U.S. financial system. The Fed's decision to leave rates near zero "was a close call in my mind, in part reflecting the conflicting signals we're getting," he said. "The U.S. economy continues to strengthen while global developments pose downside risks to fully achieving our goals." Investors reacted to the cautious tone by pushing bets of a rate hike into 2016, with a Fed meeting in January given a near 50 percent probability, according to futures markets. Policy-setting meetings are also scheduled for October and December. Williams, a voter this year on policy who supported Thursday's decision, is a close ally of Fed Chair Janet Yellen and is seen as aligned with the central bank's core decision-makers. 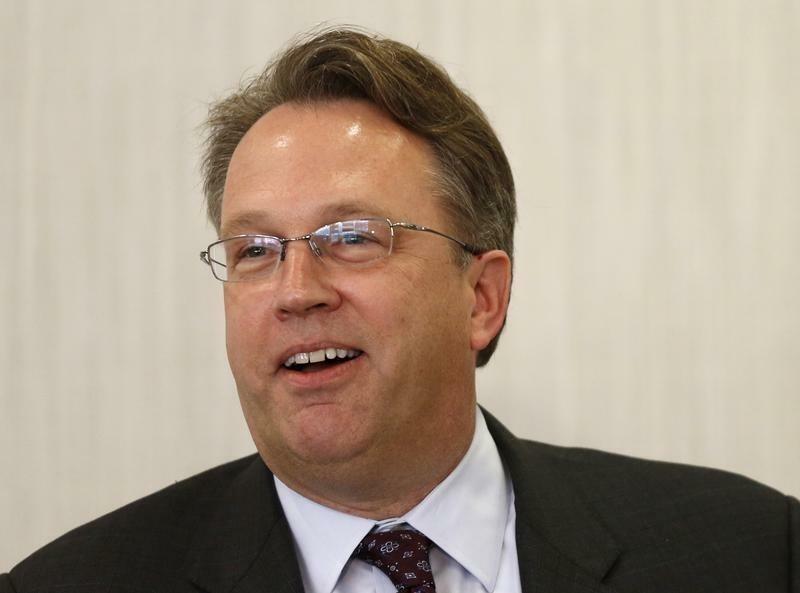 Like other Fed officials who aimed to raise rates this month, he decided to hold off after discouraging signs of weakness in China that prompted a global and volatile market selloff in August and September. The Fed's key rate has been near zero since the depths of the recession in late 2008.